This is a ‘Runseeing 10k’ of Lyon, incorporating many of Lyon’s principle and historic sights, and the hilly ascent to Fourvière Hill. Churches, museums, historic buildings, parks, and some killer stairs characterize this run. 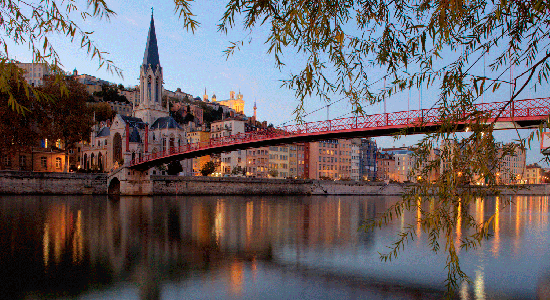 Our route starts near the Musée des beaux-arts, continuing past the 16th century Place des Jacobins square, and over the Bonaparte Bridge, into Vieux Lyon (old Lyon). 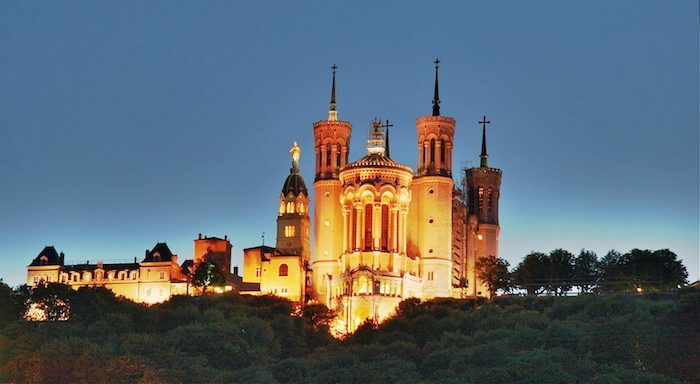 Take the Montée du Gourguillon (hill) past the Minime Roman Theatre and inclined railway station, along the Rue de l’Antiquaille, passing Galic-Roman museum and theatre, to Des Hauters, a hillside park below the basilica of Fourvière featuring a rose garden & sweeping city views. You’ll climb nearly 500 feet up the switchbacky paths, to the Basilique Notre Dame de Fourvière. Go through La Sarra over to the Cimetière de Loyasse, enjoying a nice downhill stretch along Montée de l’Observance, passing Fort Loyasse. Then enjoy a 1 mile stretch along the Saône, and then cross back over the Pont de la Feuillée, to the start, passing Bartholdi Fountain and modern City Hall (Hôtel de Ville), finishing along Rue de la République.